IRELAND’S leading ferry company is encouraging western film fans to grab their Stetsons and head to the wild wild West of Wales for the Fishguard Spaghetti Western Film Festival which takes place Friday 7thFebruary – Sunday 9th February. From only €455* for 2 adults and 2 children for 4 nights’ accommodation including travel by car. Stena Line is giving families the opportunity to enjoy a luxurious self-catering holiday to Bluestone National Park Resort in Pembrokeshire, South Wales from only €455* for two adults and two children. Widely read and respected travel bible, Lonely Planet, has declared that Northern Ireland is a cool place to visit. One could be forgiven for thinking that this was a rather fair appraisal of the weather, but no – the magazine has given Northern Ireland its much coveted seal of approval. Due to exceptional demand, Stena Line has extended its super summer sale giving families even more reason to enjoy a car-cation as KIDS GO FREE*! 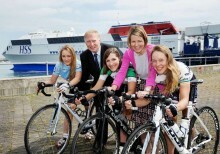 Leading ferry company, Stena Line has lent its support to the international cycling race, An Post Rás na mBan – Ireland’s premiere stage race for women. 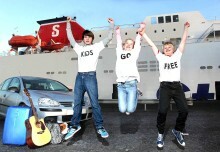 Stena Line has launched a super summer sale giving families even more reason to enjoy a car-cation as KIDS GO FREE! 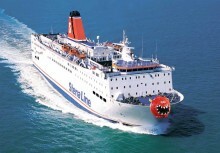 This fantastic offer is available on Stena Line’s Dublin Port / Dun Laoghaire – Holyhead and Rosslare – Fishguard routes for travel every day until January 5, 2014 when booked by June 27, 2013. 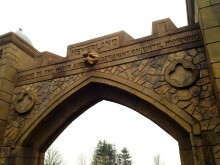 Enjoy an action packed day trip to Wales’ biggest family adventure park from only €45pps* A day trip to Oakwood Theme Park with Stena Line is now even bigger and better following the launch of the new £4m Peter-Pan themed ‘Neverland’ attraction which features 10 new rides and attractions. Stena Line up to £600*cheaper than airlines this Christmas CHRISTMAS never does come cheap, but leading ferry company Stena Line has a money saving travel tip for those making the journey home to Ireland for Christmas – and it’s a ‘ferry’ good deal with savings up to £600* when compared to flight prices.